Joining the ceremony from the UCN’s side included: Ms. Lene Augusta Jorgensen – Rector of the UCN; Mr. Morten Pristed – Counselor of Denmark’s Embassy; Mr. Soren Samuelsen – Atc2learn Program Director; Mr. Martin Hoxer – Director of International Relations; Mr. Rene Martin Larsen – Representative of UCN in Vietnam; Ms. Le Nguyet Minh – Head of Danish Economic and commercial office at General Consulateof Denmark along with UCN ATCM-VN task force members. Representative from HCMUARC’s side included: Associate Prof, PhD. 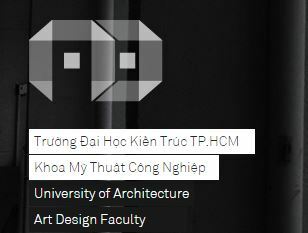 Pham Tu – Rector; M.Arch. Truong Ngoc An – Vice Rector; M.A. Nguyen Thi Thao Trang – Head of Administrative Office; M.A. 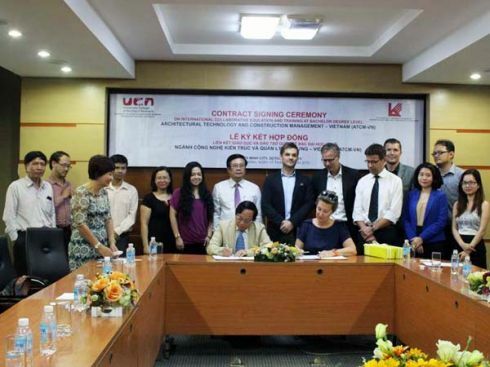 Ninh Quang Thang – Head of Office of Training & Student Affairs; M.A. Hoang Thanh Thuy – Vice-Director of International Training center; Ms Pham Thi Kim Dung – Head of Finance & Planning office, M.Arch. 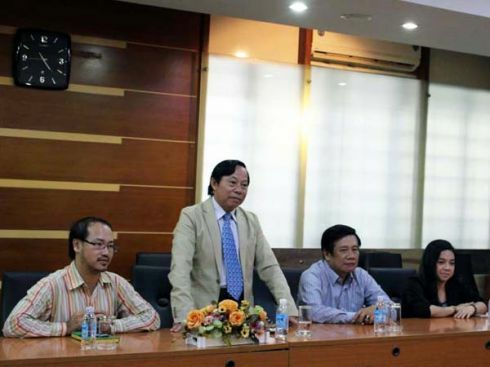 Vu Viet Anh – Chief of Post-graduate & International relations department and members of the institutional ATCM-VN task force. Rector Pham Tu on HCMUARC’s behalf presented a brief speech to summarize the joint-efforts in collaborations of the ATCM-VN program between the two institutions and offered his hope for the future of its successful operation. From the UCN’s side, Rector Lene Augusta Jorgensen also had a few words to praise HCMUARC and both task force members on their contributions to the success of the collaboration so far. Previously, on October 6th the two Rectors had had a brief meeting to discuss important issues related to the program. 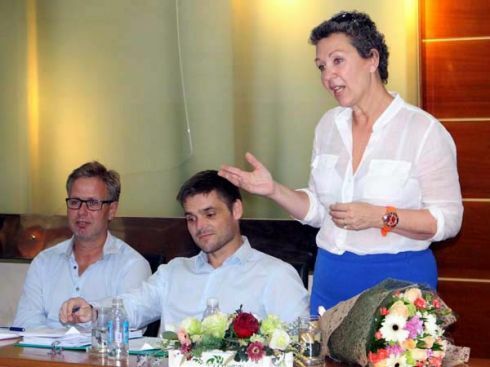 Then Mr. Morten Pristed on behalf of the Denmark’s Embassy expressed the hope that the collaboration in ATCM-VN will set a good beginning for the joint-success of the two institutions in particular, and for Vietnam and Denmark in general. Besides the contract, HCMUARC and UCN also agreed on the mutual implementation of other important documents to put forward the collaboration.